New for 2019 based in the lovely town of Stockerau, Austria. Located only a 15 to 20 minute drive from Vienna and provides a quiet base from which we can experience the elegance and charm of Austria’s capital city and the picturesque Wachau Valley. New for 2019 based in the lovely town of Stockerau, Austria. Located only a 15 to 20 minute drive from Vienna and provides a quiet base from which we can experience the elegance and charm of Austrias capital city and the picturesque Wachau Valley. Situated in the centre of the small town of Stockerau, the modern, family run 4 star City Hotel provides clean, stylish public areas with extensive seating. There is lift access to the 93 spacious rooms, all of which are equipped with hairdryer and TV. The restaurant is on the ground floor and offers buffet style service. We depart the local area early morning and travel to Dover for our ferry crossing to Calais, from there we make our way to the Maritim Konferenzhotel, Darmstadt, Germany for our evening meal and overnight stay. We depart after breakfast and continue our journey to the City Hotel, Stockerau, our base for the next 6 nights. This morning we travel the short distance to Vienna. On arrival we enjoy a morning guided tour of one of Europe’s most splendid cities with a rich history, charm and beauty that will leave a lasting impression! The afternoon is free for you to explore. 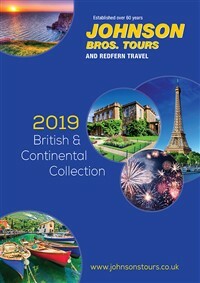 The ‘must see’ sites would be the magnificent Hofburg Palace, the Gothic inspired St Stephen’s Cathedral, the spectacular 18th century Schonbrunn Palace and Gardens and the beautiful baroque Belvedere Palace. A free day at leisure to explore the lovely town of Stockerau. 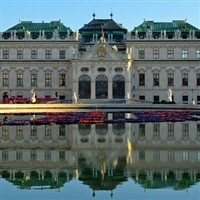 Alternatively take a short train journey into the centre of Vienna to continue exploring this stunning city. After breakfast, we make our way to the spiritual and cultural centre of Austria for over 1000 years: Melk Abbey. Afterwards we embark on a memorable cruise along the River Danube as it winds through the stunning Wachau Valley towards the charming town of Durnstein. A full day excursion to Prague, home to so many fascinating historical treasures – you’ll get to see so many of the wonderful sights and attractions of this captivating Eastern European city. Don’t miss your chance to take a stroll down Charles Bridge, taking in views across the river Vltava and admiring the impressive statues. A full day excursion to Linz, the third largest city in Austria. After breakfast, it is time to say goodbye and begin the return journey to the Maritim Konferenzhotel, Darmstadt, for our evening meal and overnight stay. After breakfast at the hotel we continue our journey home.